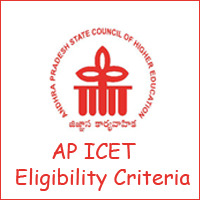 AP ICET Eligibility Criteria 2019 Updated. Check APICET 2019 Academic Qualifications and Age Limit conditions here. Applicants must fulfil the eligibility criteria of AP ICET 2019. So, before going to submit the Andhra Pradesh ICET Applications, postulants must check the sche.ap.gov.in eligibility conditions once. Go through the following sections for complete eligibility conditions of APICET 2019. Are you searching for Eligibility Criteria for AP ICET 2019? Then you are the exact place where you can obtain the actual eligibility conditions for the Andhra Pradesh ICET 2019 Exam. So, applicants who wish to apply for the AP ICET must check the eligibility criteria once before filling the applications. If you are not eligible for the test and you have filled the applications, then the board will reject your application immediately. You may lose your money and time. So, to avoid all these, aspirants must check the Andhra Pradesh ICET Eligibility Conditions 2019 and then only proceed to the application fill up. You can get the complete Eligibility Criteria for the Andhra Pradesh ICET 2019 Exam on this www.icet.co.in Website. So stay on and read more. Sri Venkateswara University, Tirupati is going to conduct the AP ICET Exam on 26th April 2019 on behalf of APSCHE. For this, Andhra Pradesh State Council of Higher Education Board is inviting the Online Applications from the eligible candidates. The AP ICET Online Applications are available at the official website from 27th Feb 2019. So, interested candidates must check the required AP ICET Eligibility Conditions such are academic qualifications, age limits, application fee, etc. Eligible candidates must submit the Andhra Pradesh ICET Online Applications before 27th March 2019. After this date, candidates have to pay the late fee while submitting the applications. So, candidates, it is better to submit the APICET Applications in early days. APSCHE Board has set some particular eligibility conditions for AP Integrated Common Entrance PG Exam. Applicants who are preparing for ICET Exam must fulfil the following all AP ICET Eligibility Criteria conditions. Students must be an Indian Nationals. Candidates must have to complete the three years bachelor’s degree from any recognized university/institutions. Aspirants should have at least 50% marks at graduation level. (45% percent for reserved candidates). Aspirants who are pursuing the final year degree can also apply for APICET 2019. Candidates who fulfil the above all conditions must apply for the Andhra Pradesh ICET Exam before the deadline.